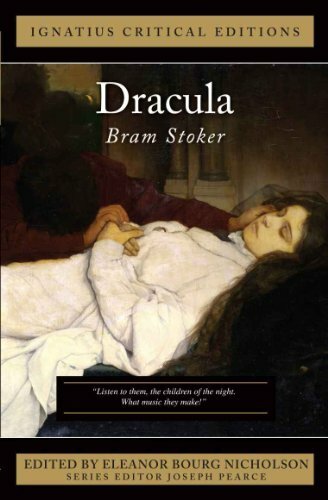 At first glance, you may not think that Dracula could be considered a Catholic novel because Bram Stoker was a Protestant. However, he grew up in Protestant Ireland, which meant that he was very much familiar with Catholic imagery. His wife was also a Catholic and he received some instruction on the faith. Though he never converted he was heavily inspired by Catholic theology and culture. This classic proto-horror novel serves as a cautionary tale, warning against the glamour of evil, with the fight against Dracula being a metaphor for spiritual warfare. I loved the book from beginning to end, but the one thing that sticks out at me is the character of Mina Harker, nee Murray. Despite the way she was portrayed in adaptations and how she’s perceived in various literary analyses, Mina had all the makings of a modern woman even within the time the story was set in. At the time that Bram Stoker wrote Dracula, the women’s suffrage movement was on the rise. Many people see Mina as the ideal Victorian woman, who was devoted to her fiancée and whose actions centered on pleasing him. Lucy, on the other hand, seemingly represented the progressive woman who charms many men and later turns into a vampire who goes after children. However, as the book progresses, the initial stereotypes don’t hold up. There are many instances in the novel where Mina takes action instead of just reacting to what’s going on around her. If anyone was the real Damsel in Distress, it’s actually Jonathan, who almost falls victim to Dracula and only escapes through sheer dumb luck. 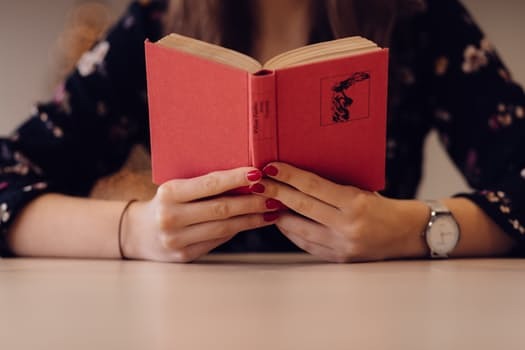 When the novel shifts to the letters and journal of Mina Murray, it establishes that she is a schoolteacher, which wasn’t something Victorian women normally did unless they were working class. Jonathan is an attorney, which puts them about the same class as Jane Austen was in her lifetime, meaning that Mina didn’t have to work for a living. She also studies shorthand and keeps up with her fiancee’s studies. It doesn’t sound like a modern thing to do, but being on equal terms with your marriage partner is actually a proto-feminist concept. Mina comments on articles about the “New Woman” and admits that while she may disagree with some aspects of that idea, her life is very similar to other aspects. To me, Mina creates her own definition of feminism, even at a time when it was still in the process of becoming a movement. In the edition of Dracula that I own, the introduction speculates that Lucy represents immature love. She strings along three men and goes between emotional extremes, never finding balance. Mina, however, is more emotionally composed. She still feels things, but doesn’t get carried away by her feelings. When Mina gets word about Jonathan’s whereabouts, she comes to his rescue and nurses him back to health. Then, when Van Helsing comes into the picture, she gives him Jonathan’s journal in the hopes of furthering his research on Dracula. She takes notes and helps Van Helsing, Quincey, and Jonathan. In a typical “Victorian Values” novel, keeping Mina out of the loop would’ve been better for her, but it actually made things worse because Dracula takes advantage of the situation and attacks her. He drinks from her and forces her to drink some of his blood as a way of controlling her. Although she can’t touch holy items and becomes scarred when Van Helsing places a communion host on her forehead, Mina refuses to stay a victim. She takes advantage of her psychic link with Dracula in order to find his location. To sum up: Mina Harker is the best character in Dracula and any movie that portrays her as a screaming damsel in distress who falls in love with Dracula doesn’t do her justice. D racula has been interpreted as centering on imperialism, colonialism, xenophobia, and Victorian gender roles. As I stated before, spiritual warfare plays a heavy role in this novel. 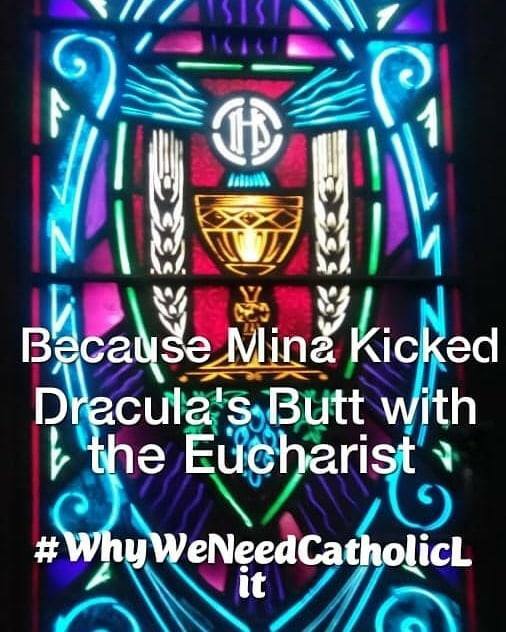 After all, rosaries, Holy water, crucifixes, and the Eucharist were used as weapons that aid Van Helsing and the Harkers in their battle against Dracula. The Eucharist was especially powerful in keeping the vampire at bay. Dracula is such a classic novel. I highly recommend it if you want to get hyped up for Halloween and all things horror. I also recommend it for fans of vampires in general, especially young women. In the age of the romantic vampire, Dracula reminds us how dangerous vampires can truly be, but also how heroic humanity can be.